I spin the records and push the buttons, stylishly blending the classic and the current, creating an eclectic mix that is soulful, funky and fun. I’m glad you’re here. 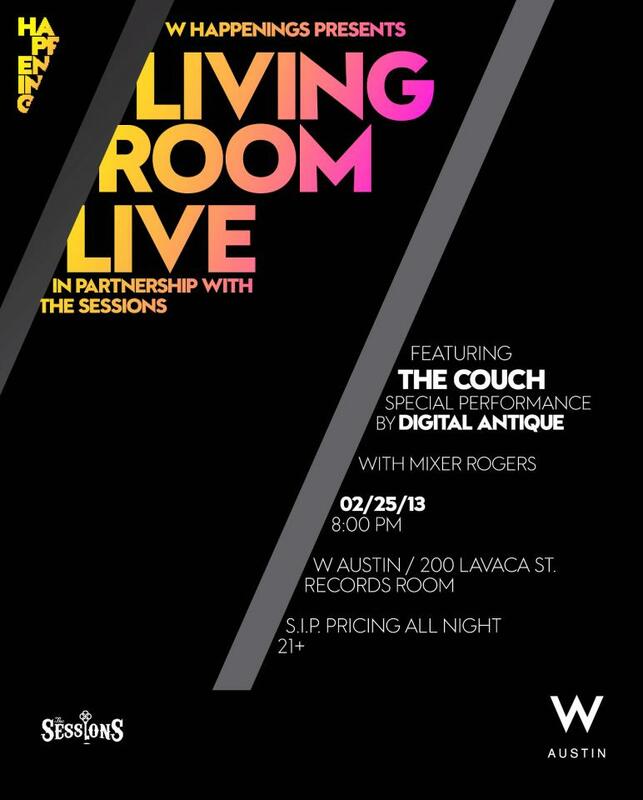 On Monday Feb 25th I will be joined by The Couch and Digital Antique at The W Hotel in Austin. In the Record Room. No cover. I’ll start stirring things up about 7:30pm. Come see me. This entry was posted in Shows and tagged Austin, Cam, CJ Vinson, Couch, Digital Antique, Living Room Live, Mixer, Mixer Rogers, Party, Rogers, Sessions, W, W Happenings, w hotel. Bookmark the permalink. Happy Birthday to the love of my life. @erinivey 😍 I am one lucky man. One of my finer mirror selfies, I do believe. #tbt Why would God take that hair away from me? Whyyy??!! I’d rock that chili bowl right now if I could. The Queen and her noble steed presiding.